Cecil – The King of Hwange – Lost but never forgotten! Wildlife tragedies seem to be spreading their wings far and wide. A sad reality in a world we would like to consider at the pinnacle of its civilisation. Perhaps, as anti-sentiment grows towards the way we commoditise wildlife, the public awareness of these despicable incidents also grows. Let the awareness continue and steam roll these shameful events such as the one which occurred in Hwange National Park in Zimbabwe last week. A lion, the like of which few others remain, was shot and killed by a trophy hunter. This was one of the largest and most impressive lions alive and was known to many people who were lucky enough to see and photograph this magnificent animal. The conservation value which this lion created by inspiring untold numbers of travellers to have the opportunity to see and photograph him, must be unparalleled. Hwange conservation consortium suggests this hunt was illegal. As a result the hunters association has released a statement indicating an investigation into his death. As Insiders we know the area well and this is what we know of the story. Unconfirmed reports suggest that Cecil, the lion in question, made the fatal error of walking from the safety of a private Wilderness Safari’s concession across an old railway line which acts as an invisible boundary onto hunting lands where they were waiting to take advantage. At this stage speculation suggests the trophy hunters never had a permit to shoot a lion, never mind this lion, the King of Hwange. The hunting operators in question are known to stoop as low as using goat carcasses to bait predators onto their lands. A sad truth seen throughout Africa. The reality for us, is that regardless of the justification, this lion deserved better! 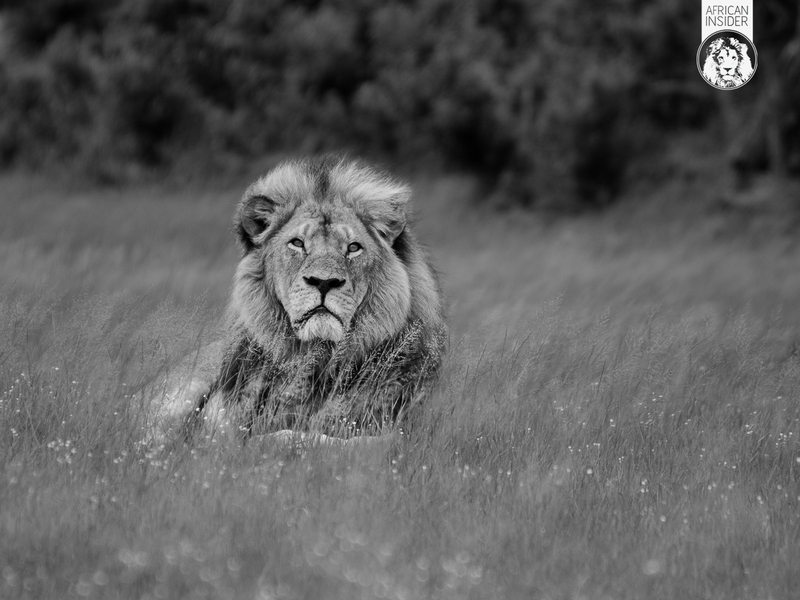 In honour and memory of this great warrior of conservation, please accept a token of our appreciation of Cecil.. the King Of Hwange… with the above high res screen image of this lion which I took in January of this year. If you would like to print the image and immortalise his magnificence and legacy please do so with our compliments. The video below gives a sense of what it is like to have been fortunate enough to experience his majesty. Stay tuned for full updates on the story and investigation as it develops. This incident unfortunately feels like a carbon copy of another sad incident involving a magnificent lion, Big John, who touched my life when I was working on the Busanga Plains in Zambia. For more on this post which looks into the reality of trophy hunting here is a link to the story which I wrote and was posted by Africa Geographic. PREVIOUSWhy the spate of big cat attacks on guided tourists?